California Safe Soil graciously hosted attendees of the 2017 Green Sports Alliance Summit for a tour at their processing facility located outside of Sacramento. 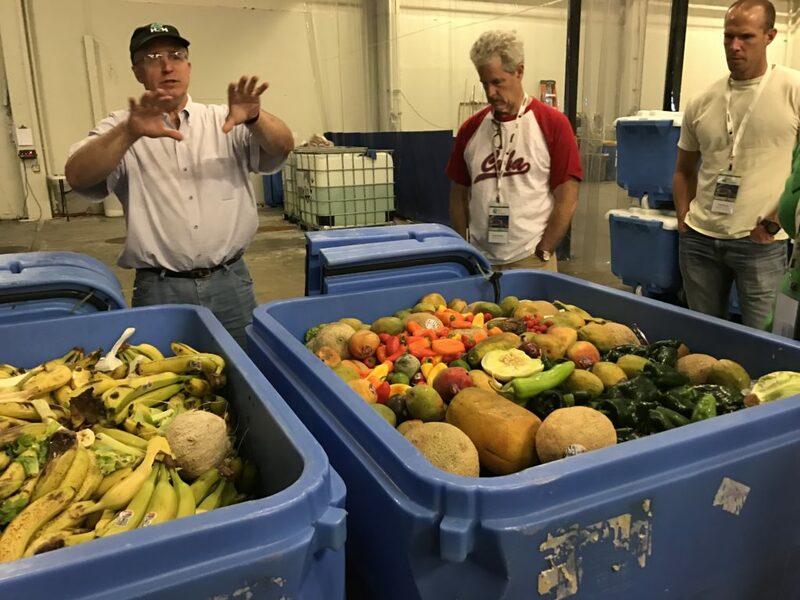 Founder of California Safe Soil Dan Morash walked us through the operational and logistics considerations for their food waste recycling solution, which produces an organic liquid fertilizer. Currently, most of California Safe Soil’s feedstock is commercial food waste procured from grocery stores, which on average produce 600 lbs. of fruit and vegetable waste every day. Incoming loads of food waste from local grocery stores are delivered in blue plastic totes each containing 850-900 lbs. Incoming material can include meat and seafood, but is largely comprised of damaged or overripe fruit and vegetables, or produce trimmings from food preparation. 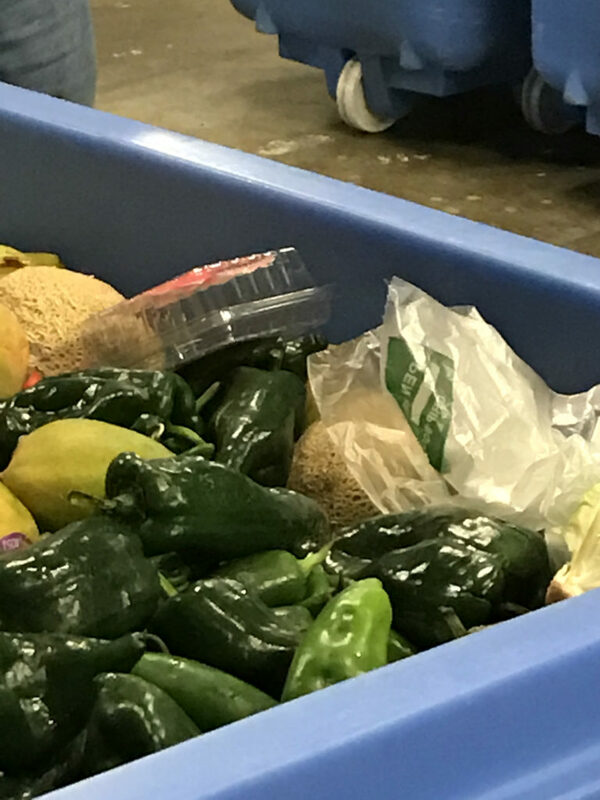 Since totes are transported from the grocery stores to California Safe Soil’s facility every other day, food does not begin to decompose, eliminating many operator and owner concerns about smell or vermin. Dan Morash, Founder of California Safe Soil explains that incoming food waste will go through three major phases of processing before sale as liquid fertilizer: digestion, pasteurization, and stabilization. 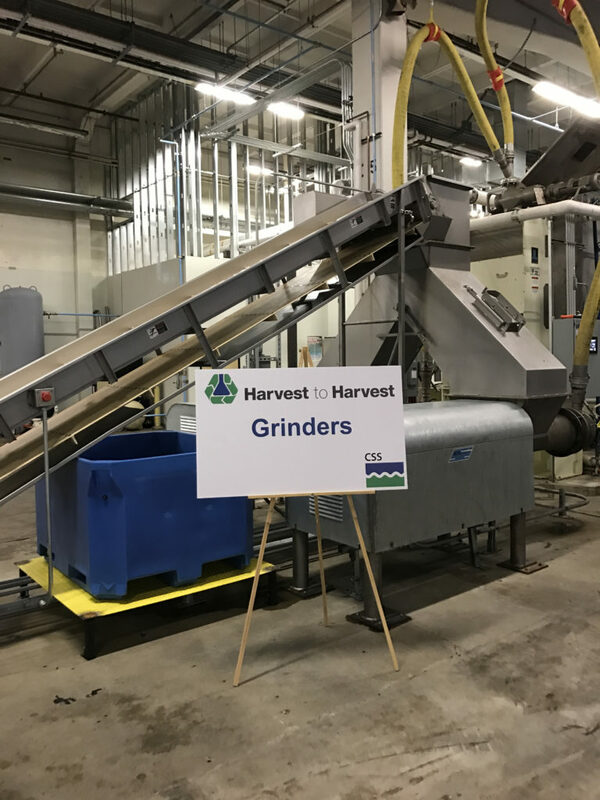 Each batch can accommodate 24,000 lbs of food waste and California Safe Soil can produce up to three batches a day if operating at full capacity. The final fertilizer product is transported in a liquid tank truck to a distributor and then brought to farms throughout coastal California and California’s Central Valley. 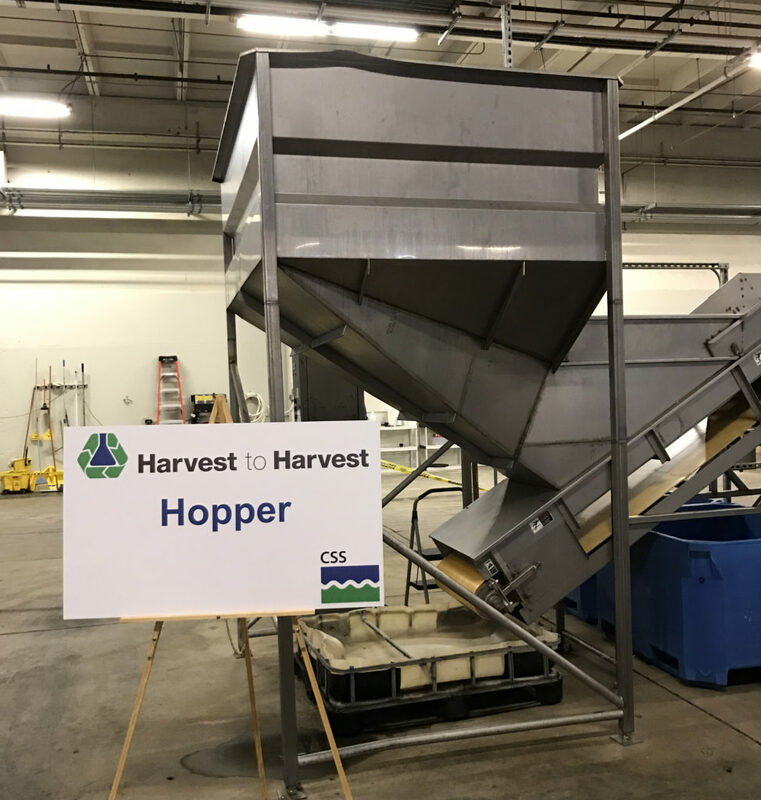 Incoming food waste is deposited in the hopper, where material is distributed evenly onto a sorting line. 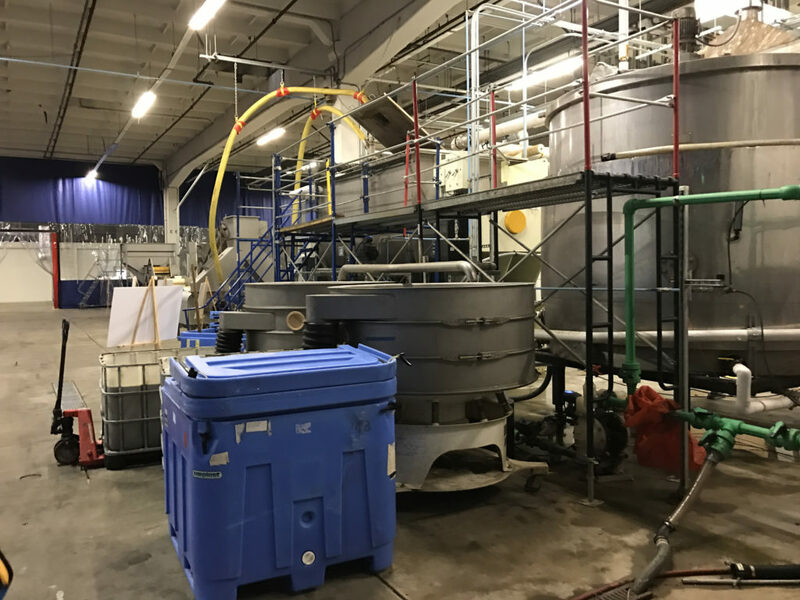 Rigid and flexible plastics that are mixed in with the food are removed by hand as they are loaded into the hopper and funneled into the sorting line. Grinders prepare incoming fruit, vegetables, and other food to be digested. Crushing food into smaller pieces, the grinders ensure streams are as consistent as possible by grinding to half an inch. 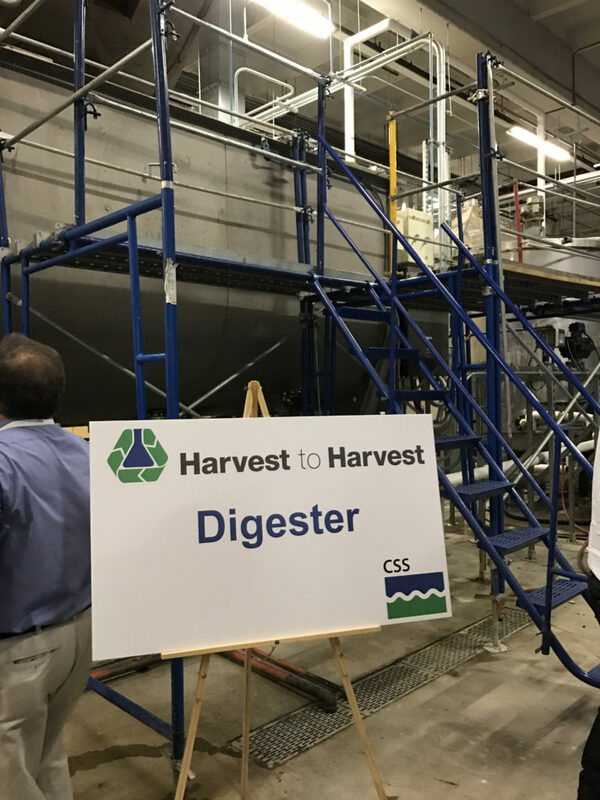 The digester receives a uniform slurry of food waste, which is heated to 130 degrees to process pectin. The biochemical reaction uses enzymes and heat to break down fibers and composition of the material. After processing, about 80% of the material is fructose or glucose. Once digested, material is passed through a series of screens. Here, any labels or stickers that tagged along with produce through grinding and digestion will be screened out. 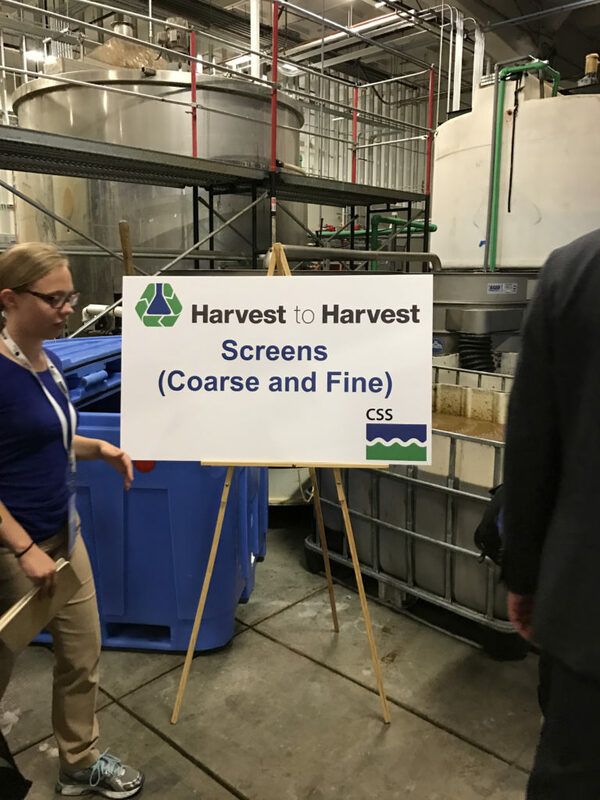 Once passed through coarse and fine screens, the remaining solids are sold as pig feed. Following the waste hierarchy to feed animals before recycling food, pigs are nourished and reliance on foreign soy imports for hog feed is diminished. 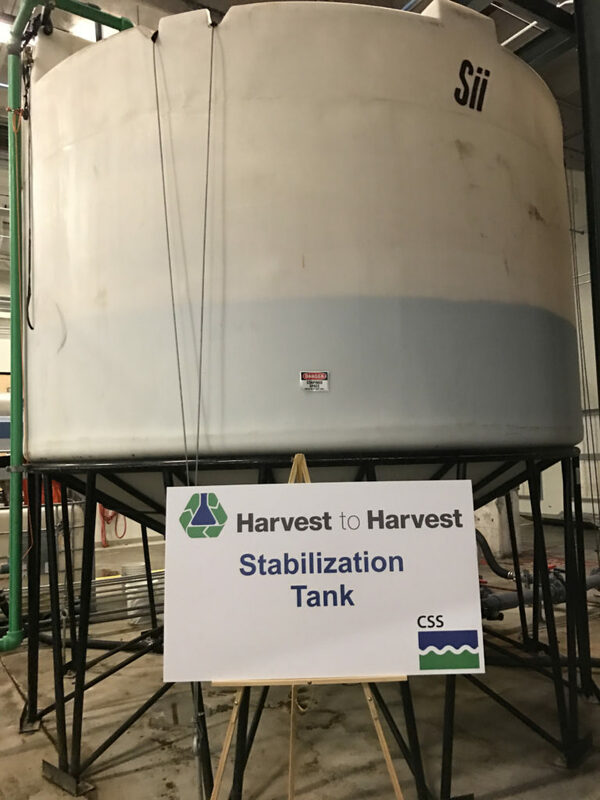 Lastly, before the liquid fertilizer is ready for field-application, it goes through a period of pasteurization for 30 minutes at 160 degrees and a period of stabilization. 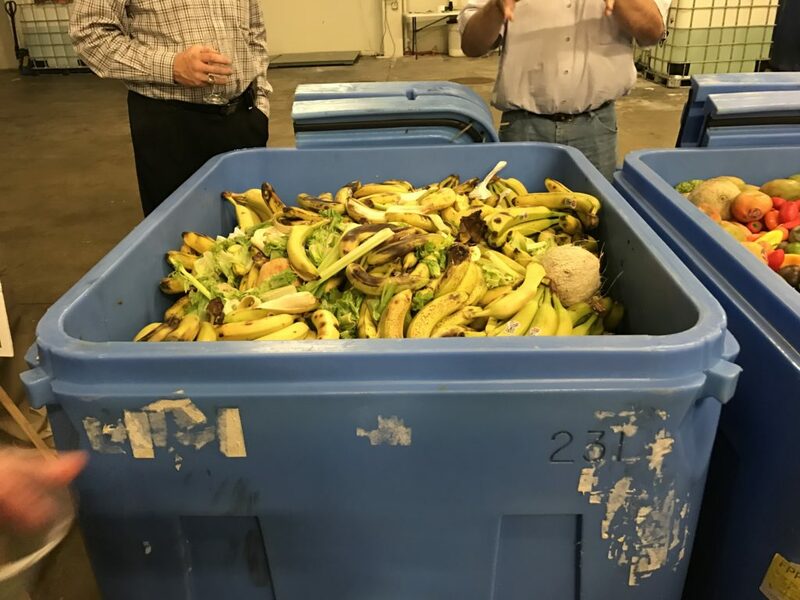 With the facility zoned as a rendering operation and suitable for siting in a dense urban area, transportation of food waste from groceries to California Safe Soil is convenient and not burdensome. 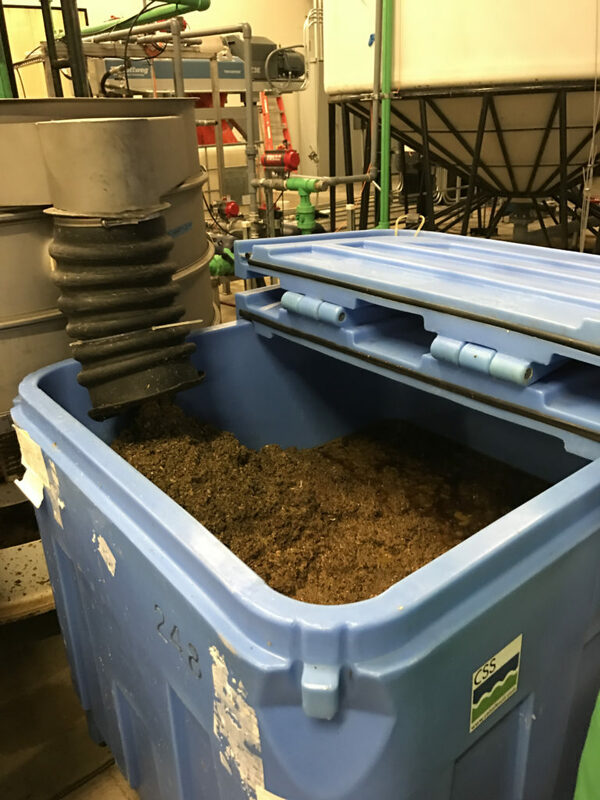 After two years in a pilot phase in a different area of Sacramento, California Safe Soil has been succeeding in providing a waste diversion service and producing an agricultural product for the wider Sacramento area in their current facility for the past year. With eyes on the East Coast, California Safe Soil will be building a facility in New Jersey, providing the Garden State with a second option to recycle food waste with only one composting facility permitted to receive food waste in the entire state. With less demand for hog feed in New Jersey, California Safe Soil will instead produce a ratio of 80% liquid fertilizer and 20% nutrient-dense material suitable for dog food.